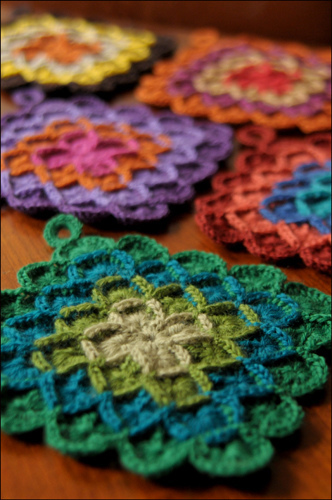 Hey look, you can crochet pot holders using this pattern. I like them–they would make a great gift. The color possibilities are endless.